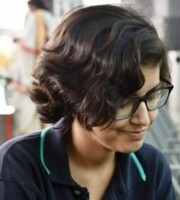 Shivangi Shankar is a student of MBBS at MMCRI, Mysuru. She writes primarily in English and occasionally dabbles in Hindi and Maithili (her mother tongue) as well. She has been blogging since the age of fifteen. Briefly trainedin Hindustani classical music, she’s an admirer of variousgenres.